MusicPlace North-West were delighted to be the nominated charity for “Music in the Air”, a Spring concert, by the award-winning Decibellas Women’s Choir, which took place on Saturday, 28th April 2018 at St Boniface Church in Bunbury, Cheshire. A fabulous night was had by all who attended, and with ticket sales and generous donations, the ladies raised an incredible £1,500 for MusicPlace North-West. The money will go a long way to helping others enjoy music therapy and communicating through the universal language of music. 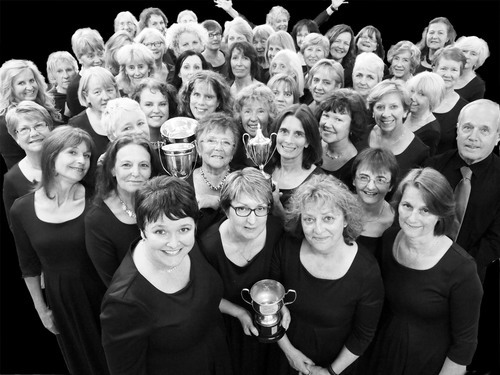 Decibellas, who prior to the concert had just returned from a tour of Budapest, were founded in 2010 by a group of women who love to sing, and has grown into an award-winning choir of over 70 voices. 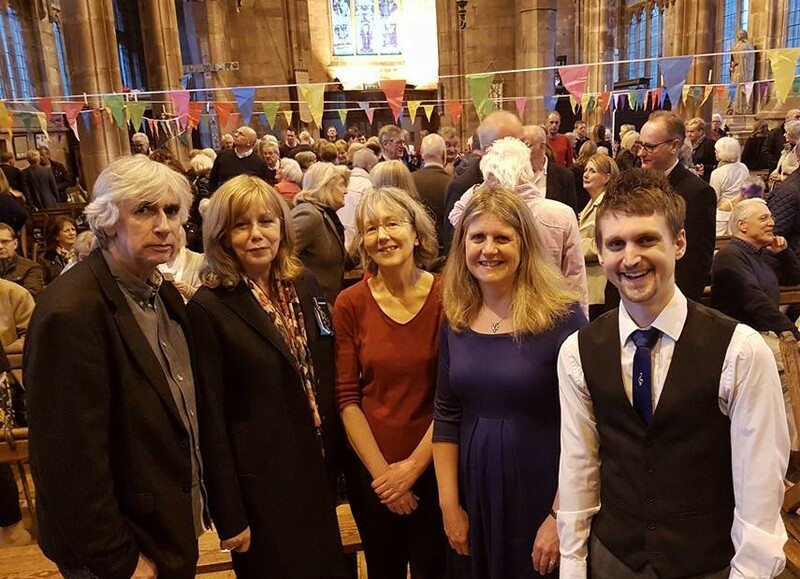 Based in Tarporley, Cheshire, the choir attracts members of varying ages and experience from the surrounding area. We thank them again for their time and effort in organising the concert and for their wonderful donation. Decibellas Charity Concert – Music in the Air! MusicPlace North-West are delighted to be the nominated charity for a spring concert entitled “Music in the Air” by the award-winning Decibellas Women’s Choir, taking place on Saturday, 28th April 2018 7.00pm for 7.30pm at St Boniface Church in Bunbury, Cheshire. 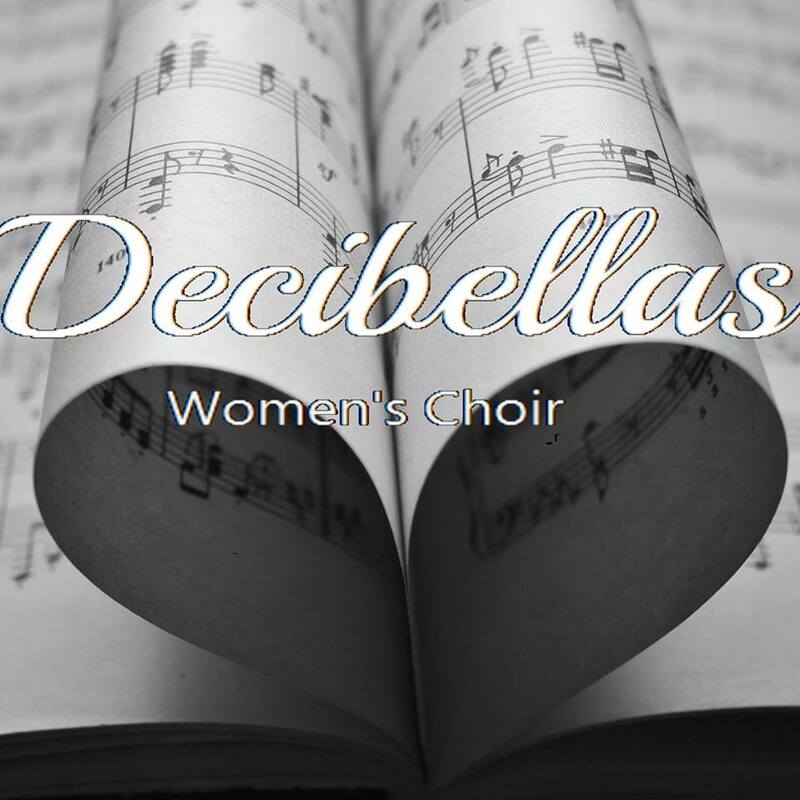 Decibellas, who have just returned from a concert tour of Budapest, were founded in 2010 by a group of women who love to sing, and has grown into an award-winning choir of over seventy voices. 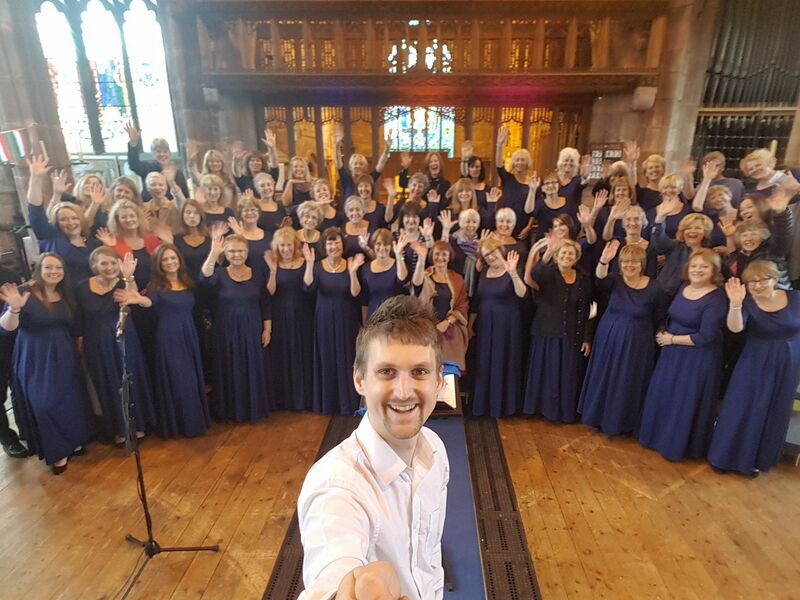 Based in Tarporley, Cheshire, the choir attracts members of varying ages and experience from the surrounding area. Tickets for this upbeat and fun evening are £10 for adults and £5 for children. They’re available from http://www.decibellas.co.uk, email decibellas@gmail.com or from Swaffield’s in Tarporley and Tilly’s Coffee Shop in Bunbury. John Hawkins from 80’s Liverpool band “Systems” contacted us recently as one of the bands’ tracks is featured on a new album, released by Cherry Red Records, called Revolutionary Spirit: The Sound of Liverpool, 1976-1988. The band generously decided that they’d like their fee, for being included on the album, to be donated to MusicPlace North-West. If you’d like more information about the album, featuring classics, rarities, album tracks and previously unreleased gems from Echo And The Bunnymen, Teardrop Explodes, OMD, The La’s, Frankie Goes To Hollywood, Dead Or Alive, China Crisis, A Flock Of Seagulls, Wild Swans, Big In Japan and of course Systems, plus many more Liverpool bands, just click the link above. Once again, many thanks to John Hawkins and the rest of Systems for their generous donation. We really are so very grateful to you all for thinking of us. MusicPlace North-West team up with Maguire’s for a night of ‘metal therapy’ and Getintothis’ Nedim Hassan has the inside scoop. Maguire’s Pizza Bar is no stranger to putting on metal shows and unafraid to house gigs at the extreme end of the scale. Yet this Sunday (8th April) it hosts a metal event with an even bigger difference. Bands from the north west metal scene have come together to support Merseyside-based MusicPlace North-West, one of the region’s leading music therapy charities. All proceeds from the gig will go towards helping MusicPlace’s team provide music therapy services for people with a wide range of social, mental and psychological difficulties. 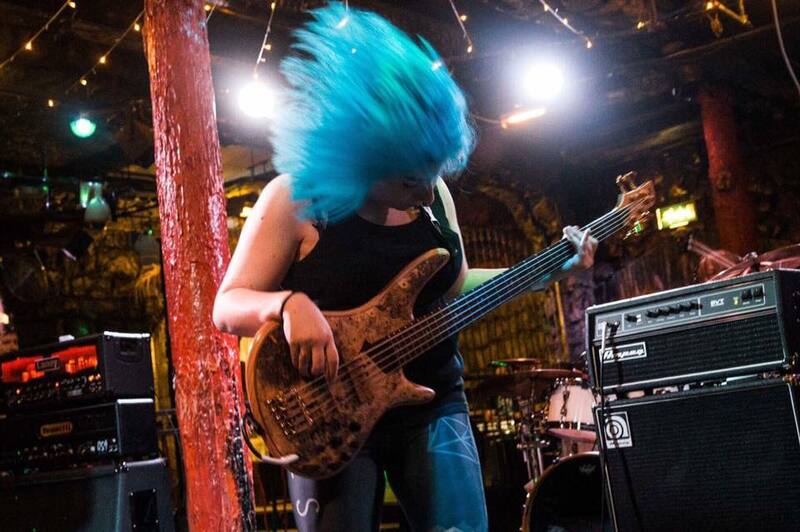 The diverse bill is indicative of the dynamism within the local metal scene. Headlining proceedings are Manchester’s crust-punk infused black metal upstarts Wolfbastard, whose scorching self-titled debut album was released on UKEM Records in 2015. They will be ably supported by fellow Mancunians, Chiasmata, and their brand of uplifting, melodic prog metal. Joining these two will be Liverpool’s own blistering extreme metal act, Crejuvent, and upcoming melodic death metallers, Intoxication. The event will take place on Sunday, April 8th starting at 7.00pm. It’s always very difficult when we lose a family member, but it’s also uplifting to know that through such grief those left behind take the time to think of others and wish to leave a lasting legacy in memory of the loved one they’ve lost. Such is the case with Nia and David Hall, parents of Jon Hall, who tragically passed away in May 2017. Through collections from family and friends they presented MusicPlace North-West with a cheque for £1,605.54, in memory of their son, to contribute to the music therapy work we do here with children and adults through the universal language of music. Below is a photograph of Jon, taken at The Roundhouse in London, and some background information about the man behind the music. Sound engineer, band manager, sometime trumpeter, cruise ship worker, record label owner, tour manager, van driver, Pinot Noir fanatic – Jon Hall changed between many different hats with a customary skill and humour. Music in all its forms was his passion from very early on, be it ‘borrowing’ his dad’s Revox reel to reel for early local band recordings or DJing at weddings and wearing out his Come On Eileen single in the process. From his bedroom, he would not only produce recordings, but also the artwork, print out inserts for tapes and CDs, write up all the credits and invent company names. Merlin Music was the first and he and a friend and colleague recorded male voice choirs, young bands and music from Theatr Clwyd where they worked. Jon turned his passion for music into a career and in 1997 he was one of the first cohort of students to graduate from LIPA. After working in theatre for a while Jon decided to follow his passion for recording and live sound. He then focussed most of his time managing bands, guiding his acts through album releases and UK & European tours, and also running his own independent record label. Another company – Performance Technologies – brought great success installing and providing PAs in many venues and festivals throughout the country. He was in demand as tour manager and sound engineer for many international artists including Brand New Heavies, Scroobius Pip, Sivu, Stealing Sheep, Money and many, many more. In 2014 he mixed a show in front of 17,000 people in Earls Court. It was the last gig to be held there before it was knocked down and thus laid claim to a place in the history books of music venues. 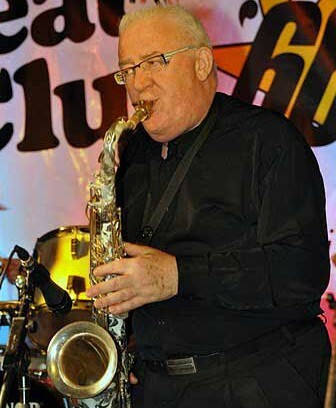 Alongside the touring Jon also helped mentor young bands through an education scheme and helped future generations of musicians to achieve their dreams. Jon saw music and life as a heady mixture of creativity and adventure, but knew that there had to be a practical underpinning to enable both. He put structures in place to support his fellow adventurers, and through this donation in his memory he is continuing to do so. A fantastic host, Jon’s home became a centre of warmth and hospitality. He always offered a place for anyone in need of a roof whether for the night or longer and his soirees were legend. It was a hive of creativity and fun and love: three essential elements in all the greatest music. Some songs are truly timeless. A big thank you to local musician, entertainer and band leader Gaz Gaskell for generously donating £340 to MusicPlace North-West from a recent concert. Thank you again Gaz – we really appreciate your support. The week beginning 22nd June is “Music Therapy Week”. Huge congratulations to Jennifer Davies for successfully completing the Liverpool Rock ‘n’ Roll Marathon on Sunday 14th June – and no stopping! So far Jennifer has raised an impressive £1,325.75 for the Music Therapy Project at Aintree Hospital’s Stroke Centre. Her hard work will help to keep these sessions going and enable more people to benefit from the healing power of music. Thank you Jenn. 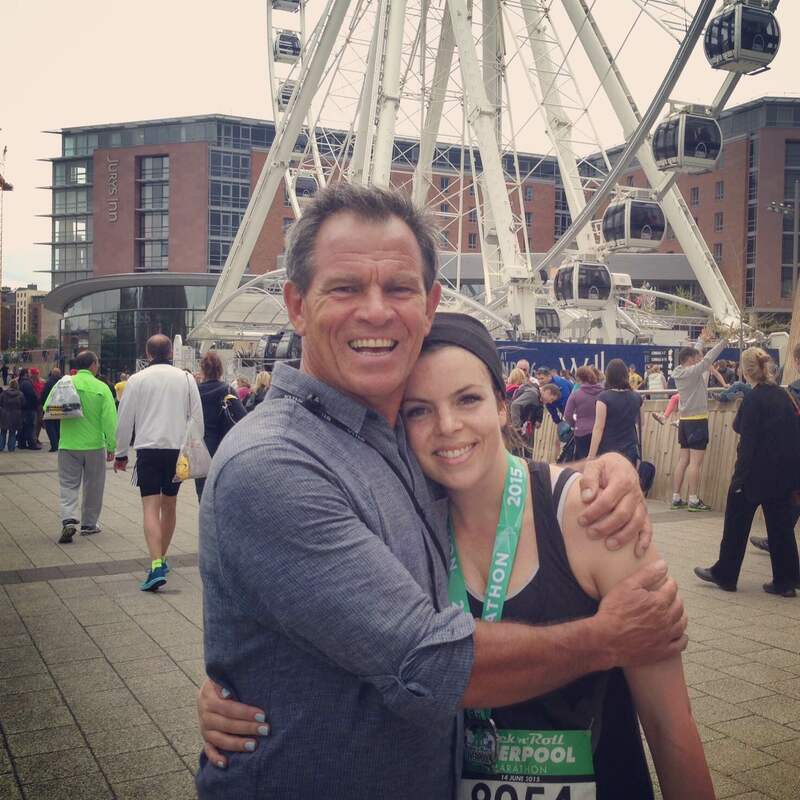 Here is a photo of a happy looking looking Jenn with her father at the end of the marathon. We just wanted to say a very big ‘thank you’ to everyone who took part in the Wirral Grammar School for Girls concert on April 24th. As last year, it was a wonderful evening of music in a beautiful setting and it was obvious how much everyone enjoyed the concert, both the performers and the audience. We are very grateful that Wirral Grammar School for Girls once again chose to raise funds for MusicPlace . Everyone was very generous and the retiring collection came to £343.80, which is fantastic.